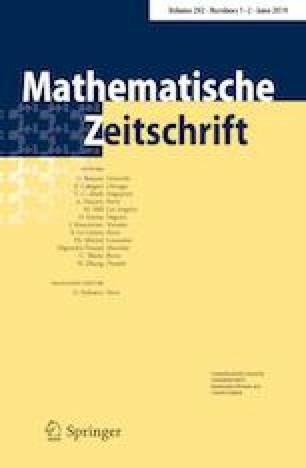 We describe a simple but surprisingly effective technique of obtaining spectral multiplier results for abstract operators which satisfy the finite propagation speed property for the corresponding wave equation propagator. We show that, in this setting, spectral multipliers follow from resolvent or semigroup type estimates. The most notable point of the paper is that our approach is very flexible and can be applied even if the corresponding ambient space does not satisfy the doubling condition or if the semigroup generated by an operator is not uniformly bounded. As a corollary we obtain \(L^p\) spectrum independence for several second order differential operators and recover some known results. Our examples include the Laplace–Belltrami operator on manifolds with ends and Schrödinger operators with strongly subcritical potentials. The authors would like to thank X.T. Duong and J. Li for helpful discussions. P. Chen was partially supported by NNSF of China 11501583, Guangdong Natural Science Foundation 2016A030313351 and the Fundamental Research Funds for the Central Universities 161gpy45. A. Sikora was supported by Australian Research Council Discovery Grant DP 130101302. L.X. Yan was supported by the NNSF of China, Grant Nos. 11871480 and 11521101.